I know what's for dinner tomorrow!!! Wow...that looks incredible! :-) Perfect Summer pasta. Yum! We all could use a nice light side dish like this for the summer. Very tasty looking and great pics. Thanks for sharing. Yum, I saw her make this on her show recently. I want to try it now. i just saw this on her show and thought, "must make"
We saw you on food gawker, we just started following you!! Can't wait for new recipes! 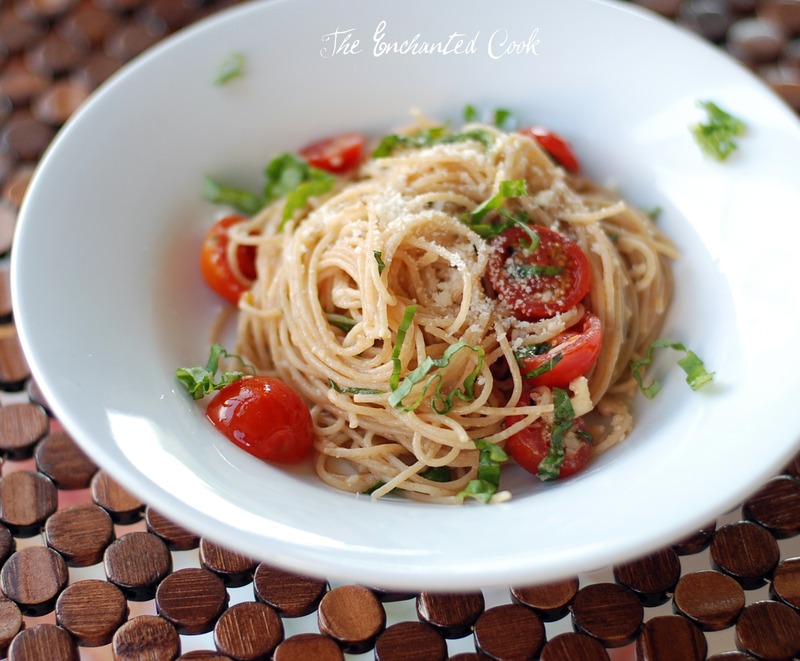 This pasta is great for summer. It seems to give off cool from garlic and refreshing dish. Oh how I love Ina's pasta recipes! I would like to take out our grass and plant just basil in our yard so I can make so many of her dishes. amazing phoots! they look like the cook book! That sounds so incredibly easy .. gonna print this one! YUm is right! Amazing photos and great recipe from one of my favorites- INA! Delicious! This looks so light and lovely! And I am so jealous that you are able to get the perfect angel hair swirls! You gotta love Ina! Such a wonderful sounding and fresh summer recipe. Such a refreshing and delicious looking salad!You're right that Ina Garten's recipes don't disappoint. I always love her stuff. Thanks for sharing! I made this last night but added rosemary and cooked shredded chicken breast...it was wonderful! 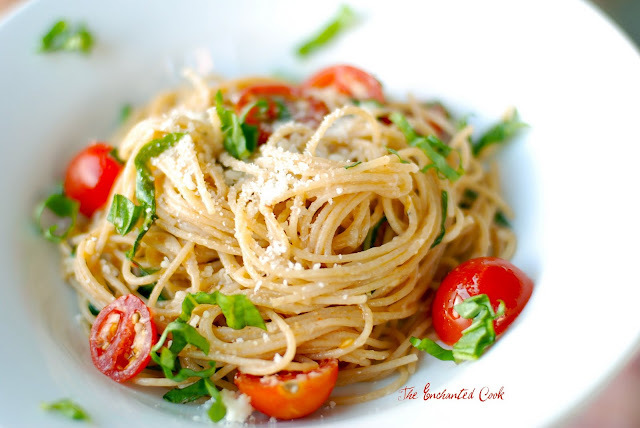 Just made this and have to say it is by far one of the best summer pasta dishes, best part is you serve it room temp so theres no fretting about whether its coming out to your guests hot enough! I make a similar dish, yet with torn pieces of brie cheese included in the macerated tomatoes, for those same 4 hours. Truly amazing smell when the hot pasta lands on the mix. Don't have brie today, so I'm trying this recipe.